We were contacted in 2013 to complete a website redesign of the Excelleris corporate site (which we originally designed back in 2009). This new and improved website better reflects the organization and it’s brand. 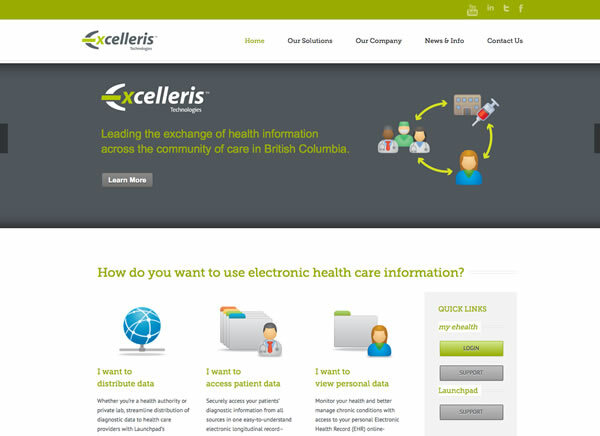 Excelleris, is a leading provider of fast, secure and easy to use systems for delivering electronic diagnostic information to health care professionals. We provided the design and development of their website, as well as the look and feel for the my e health portal.